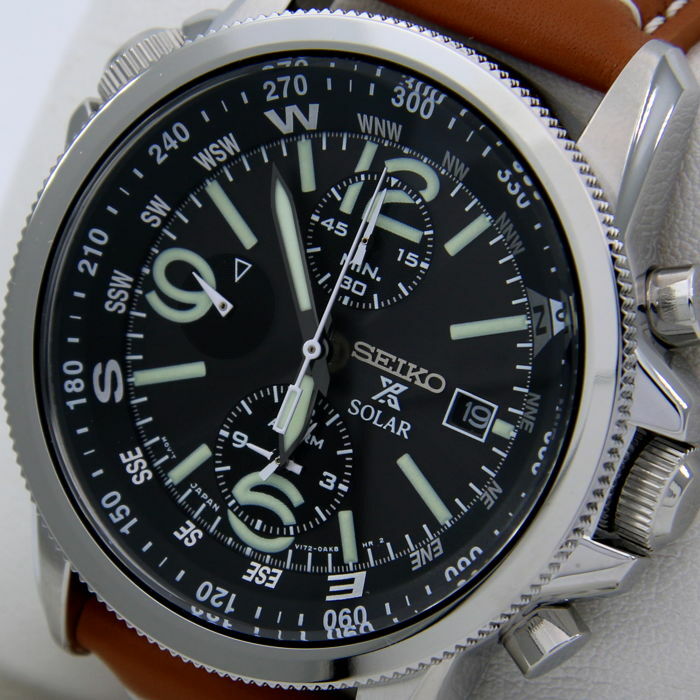 Seiko Prospex Solar Alarm Chronograph. Brand new, never worn and never used, with warranty and box. 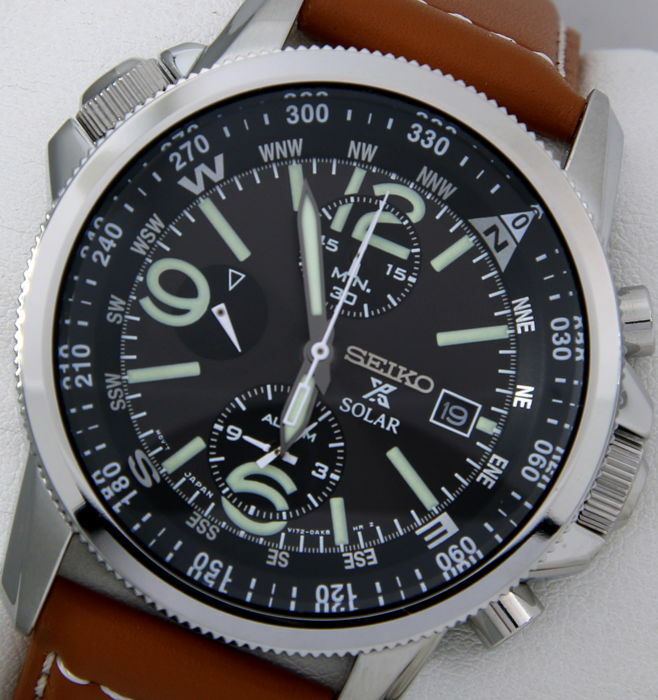 Seiko solar movement calibre V172. Solar-powered: it captures sunlight and artificial light and converts it into energy. Internal rotating ring with cardinal points (the inner ring turns manually via the left crown). 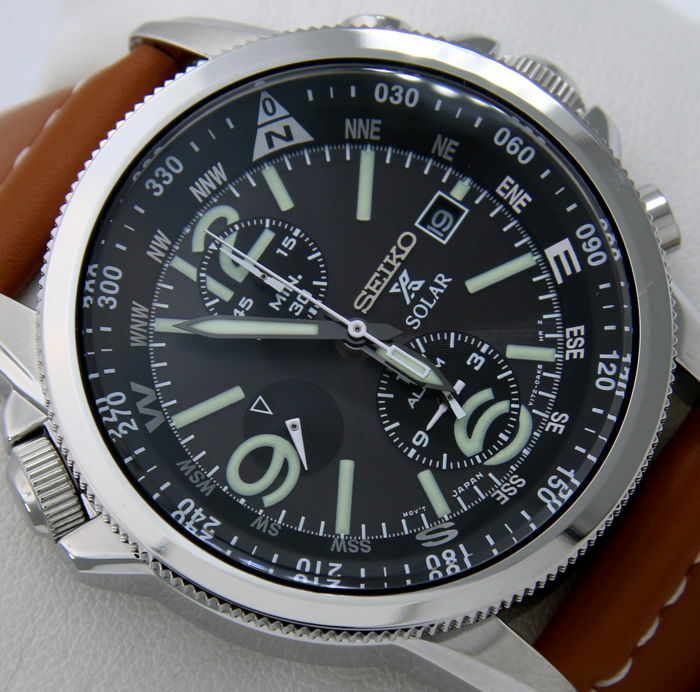 Water resistant to 100 meters, with pressure-fit crown. 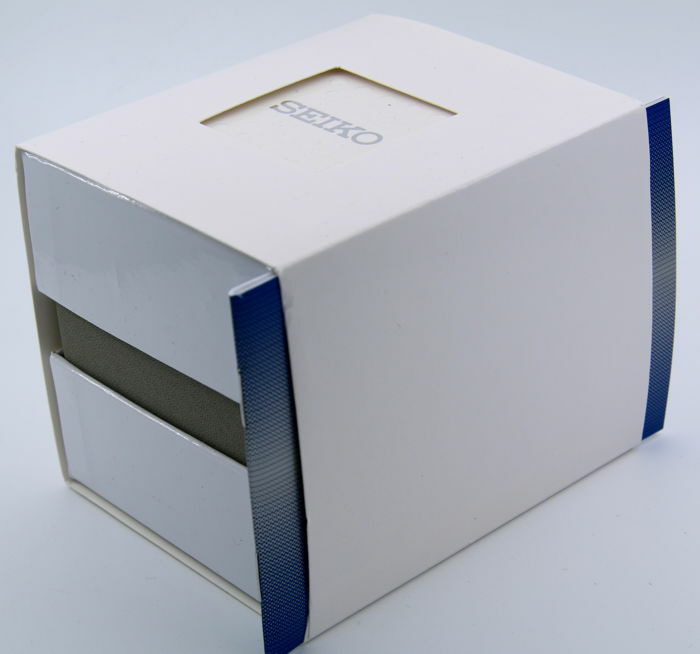 The case measures 42 mm in diameter and 13 mm in thickness. 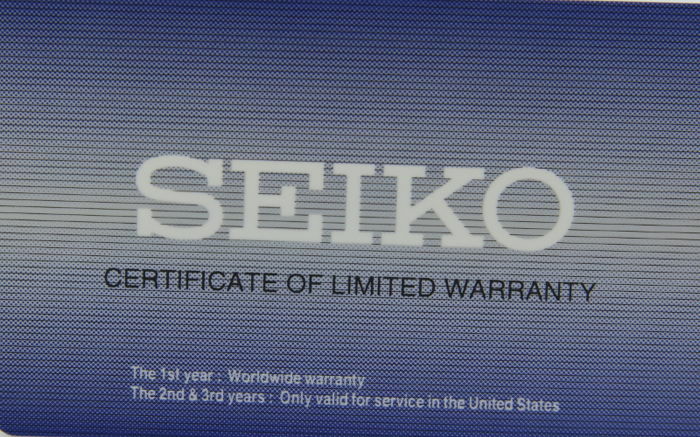 Seiko box and 1 year worldwide guarantee. 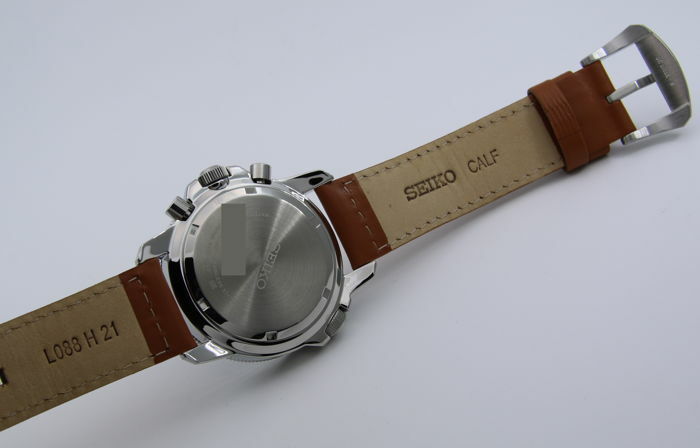 The Instruction manual of the watch will be sent in pdf by email (English language).